Cleaning My Kitchen Ceiling. Why, What Do You Do on a Friday Night? My sister dropped by last night to return my Bissell rug shampooer. She’s selling her truck and wanted to create a not-mildewy vibe for the new owner. I bought the shampooer on Craigslist probably four years ago, and it’s since been borrowed by at least six different people. It’s one of those items that’s perfect for lending out, no need for each person to own one themselves. Sharing economy at its best. We were hanging out in the kitchen as I tidied up from dinner and catching up on each other’s lives, when I pointed out how the ceiling has been looking disgusting ever since I went crazy with all the applesauce. Apparently, all the steam condensed on the ceiling and trapped any dirtiness to create a very special brown spottiness. It’s a chore I’d been avoiding, and I somehow ended up on a chair to start wiping it down to show her how gross it was. Because you know, I’m weird. 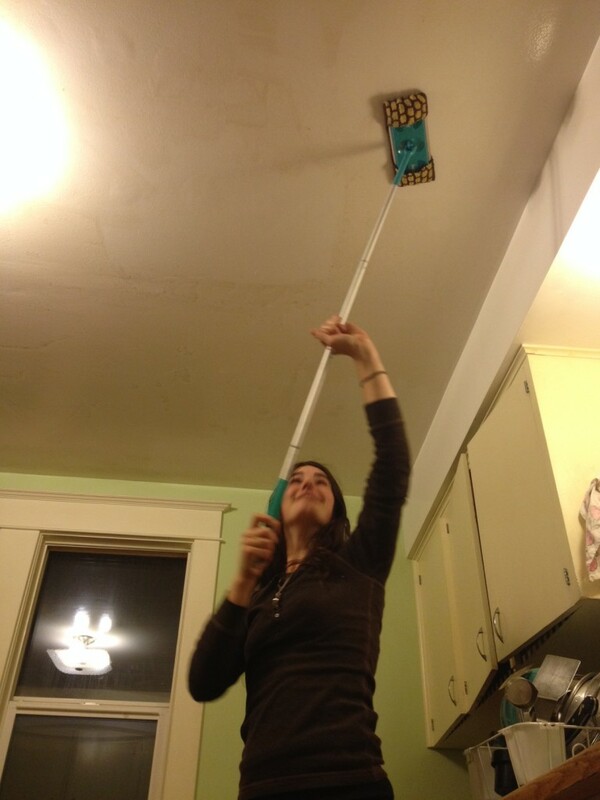 But then the two of decided to try my garbage picked Swiffer to see if it would work to clean the ceiling. Especially since the Swiffer sports a crocheted cover that our third sister made for me. And that’s when an ordinary Friday night went from dull to epic! And of course, cleaning the kitchen ceiling then prompted washing all the bugs and kitchen schmutz from the light fixture and cleaning/decluttering all the stuff on top of the refrigerator. We then shared a beer and moved our wild party to the living room. Yeah, don’t pretend you’re not envious of my glamorous life. I get plenty of excitement and adventure in other areas of my life but spending a chill evening with my big sister, chatting over some mindless chores can be the best thing ever! I stay so busy with my own life that disguising my downtime with some mild productivity takes away the guilt that I have other things I need to be doing and helps me relax. Maybe I’m crazy! Ladies, no need to justify any of this. Cleaning the kitchen ceiling and sharing a beer or two sound to me like the best kind of sisterly bonding. Meanwhile, I’ve been spending the afternoon starting this year’s edition of the parody Martha Stewart calendar I give my neighbors across the street for Xmas (this is a tradition that’s into its 19th year). My MO is that I buy a themed calendar of some sort and then stick pictures of Martha in it wherever they’ll fit for comic effect. This year’s theme is “Gone with the Wind,” so I’ve pasted Martha heads onto all the pictures of Scarlett and will write appropriate captions. (I also write all the recipients’ family/friend birthdays and other significant dates into the calendar proper, so it does serve a practical purpose.) I pass this idea along for folks who are looking for a unique holiday gift–and I can testify that I get as much enjoyment from making it as my neighbors do from receiving it. DH always remarks on the decibel level of the giggles! I love that idea so much I can hardly stand it! What lucky neighbors you have. What a great idea, and how wonderful you take the time to do that for your neighbors! Don’t forget that old standby Carol Burnett line from her parody of Gone With the Wind when she came down the stairs in a velvet gown with a curtain rod across the back of her shoulders: I saw it in the window and I couldn’t resist! Would you believe the *one* essential scene missing from this calendar is Scarlett ripping the curtains off the windows? Otherwise, it’s perfect. Your sister is a BANJO PLAYER and lives in a SCHOOLBUS? Could you POSSIBLY get any cooler?? I love that you can get together with your sister. Mine lives 8 hours away and I only get to see her once or twice a year .I love her and would give anything if she could just “drop by” !! I was going to say the same thing. . . a banjo player living in a school bus, pretty darn cool! Both of my sisters live several states and many hours away from me. I’d love it if they could just drop by and we’d clean my kitchen ceiling, or whatever! I gave up any idea I might have had once-upon-a-time that one should be doing all those cliche social things on a Friday or Saturday night. . . I’d much rather be doing what I WANT TO DO. Even if it is cleaning my kitchen ceiling or reading a book! Awesome! I wish I had a sister to come over and help me clean. It’s a rare occurrence, which is why it was special. I love those kinds of “Great moments,” years from know it will probably be a funny story that you tell grandchildren. One of my closest friends came over this weekend to use my washer and dryer (she is now one of three households that all use my super duper craigslist second hand machines!) While she was here we started prepping for Thanksgiving! We got the kitchen scrubbed down, the table leaf installed and the seating issue fixed. We made the shopping list and she ordered her pies for dessert and we are in good shape for Thanksgiving. Now I just need to buy my Turkey! 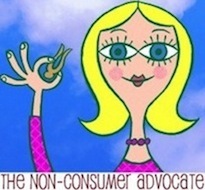 Which she gave me a $7 off turkey coupon for a local grocer that already has great prices! I come from a long line of fanatic house cleaners. 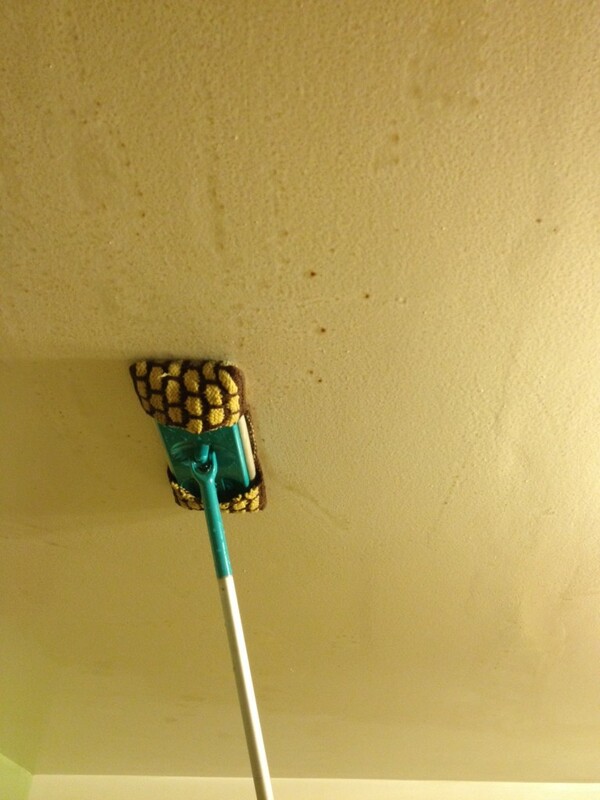 My aunt used to put a dust cloth on a broom and walk up and down the rooms holding the broom to the ceiling. Probably twice a year. That calendar idea sounds great. My first thought was that they made a calendar with them posing as Martha Stewart doing something. I’d like to make one like that before I sell my house and retire. I would also pay Good Money for a picture calendar of Katy and frugal tips. Like Katy checking the coin slots of a pay phone. Katy checking free stuff at the curb. Katy selling little plants on her front step with an honor cash box.Katy hand rolling sushi. Think about it. You’ve got 2 kids to put through college. This could make you $69 or so. I would hate to traumatize people on a monthly basis! Why do you think a calendar would be traumatic? We ready you on a(n almost) daily basis and are the better for it. I’m with AnnW and Linda. I’d pay full retail price for an NCA calendar for my office–and I wouldn’t even stick photos of Martha Stewart in it! I’ll forward that motion and additionally suggest that you make your boys take the pictures and work on the layout. It is their college accounts after all! Sign me up for a copy too!!! One of my best cleaning tricks is I buy those cheepo strechy kid gloves when they go on clearance (They are usually a dollar but I like getting them for half!) I wet the and ring them out good (so they are damp) and unleash my 4 year old on the baseboards and all of the surfaces she can reach! She gets to help with the house work and I get stuff done faster! I have also done this for me with the adult version of these gloves and I do everything Alice can’t reach. Makes mini blinds and ceiling fans easy! This is epic! I wish I had a sister! I too would buy your “Katy shows us how to save” calendar. Think about it!!! Love it! Nobody had to get dressed up and you still had a great time….can’t beat that. I would like to know where sister #3 got the pattern for the crocheted Swiffer cover…..that would be neat to make for myself:) and gifts. Could you please share? Uh…can I get my sister (albeit not blood related) to hang out and clean my ceiling, with or without liquid incentive? No. Not. Ever. Lucky lady! When my sister lived down the road (now she is in another continent, sob) we used to go grocery shopping together. Way to turn a mundane chore into a Fun Time! As for cleaning, the BEST present she ever gave me was a ‘full service clean’ of my bathreoom, mopping the tiles, walls and ceiling, using all her fancy Enjo cleaning tools. My bathroom has never looked that good again, sadly. I’m loving that there are other people out there getting crazy by getting clean!!! When she told me how much she appreciated my help and wanted to take me out someplace to pay me back I said no, just commit to get some of that stuff out of there and the rest organized. She said she would, and I’m sure she will try, but she gets overwhelmed at the sight of so much stuff. Today, an idea hit me to help her even when I’m not there to help. I got 12 blank postcards and sent the first today. It says “On the first day of Christmas, my sister gave to me…” and then I wrote instructions to perform one “purging” exercise of only 30 minutes to get some things out of one specific room of the house, and named a date a week from now to have it done. I told her to grab a bunch of unneeded and unwanted stuff as quick as she can, throw it in a box, doing this for 30 minutes, then out it all goes to Goodwill or the trash, as appropriate. I’ll send 11 more suggestions, all with specific instructions and dates to be completed; that, if she’ll do it all, will be HER Christmas gift to ME. And hopefully, to herself! I have 2 swiffer handles, -One I use with their products, the other for my microfiber or chamois cloths cut to swiffer size. The microfiber and chamois cloths spread the holding holes so they are no longer tight enough holes to hold a swiffer. But I prefer using real cloths because I can wash them. However, I am loving your crochet swiffer replacement head. What kind of yarn was used? Hey, your kitchen is the exact same two colors of lemonish and limeish that my kitchen is. At least, in that light.